I'm being punished for enjoying so much sun and warmth for the past two weeks. I have a cold and I'm feeling miserable and more foggy than usual, so I just can't wrap my brain around any serious posting. 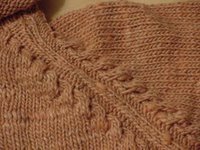 But I do have this Noro Cash-Iroha sweater all finished up and ready to show off. 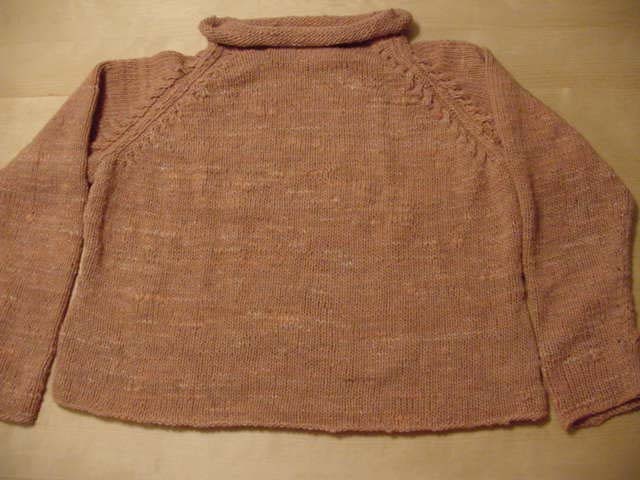 The color is a little more apricot than the picture shows. 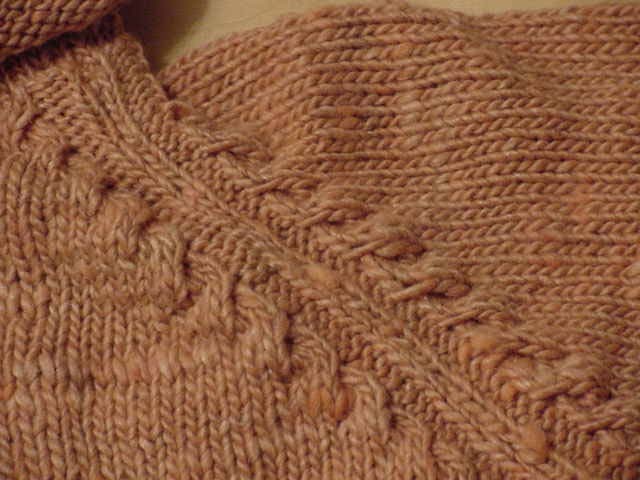 Here's a closeup of the cable raglan. It was a lot of fun to make. Several of us Knitting Workshop regulars have made it in various colors. The yarn comes in the most luscious jewel tones. And now if you'll excuse me I'm going to go stick my head over a pot of steaming water.